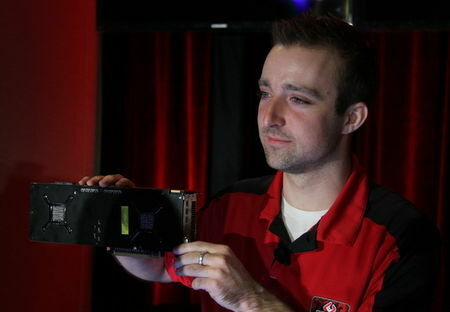 AMD showed Tom's Hardware a preview of the Radeon HD 7990, codenameed "Malta" at GDC 2013. It will feature two GPUs with 6GBs of GDDR5 memory (3GB per GPU) over a dual 384-bit memory interface. The core speed is predicted to be around 1.1 Ghz. The GPU has three 90mm fans, four mini-display ports and a single DVI port. 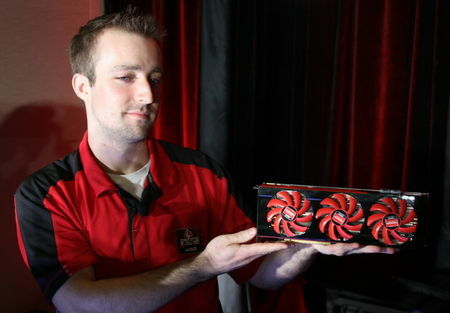 Due to AMD's usage of three fans, similar to the other 7990 designs, the temperatures and noise should be lower. 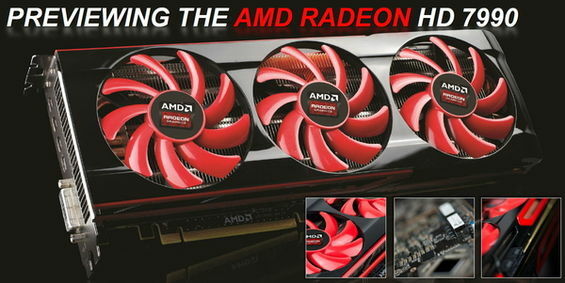 AMD is aiming to outperform the Asus ARES II and with that, probably the GTX 690 and GTX Titan as well. There has been no announcement as of when it will launch or pricing but we can assume that it will be somewhere around $1000. However, if AMD decides to price it below that, many others should flock to this GPU instead of the others that were aforementioned.